Grave : Plot I. Row E. Grave 3. 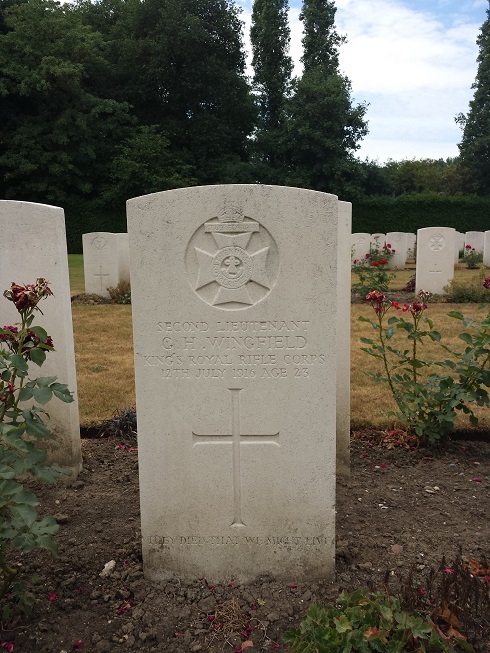 Granville Harry Wingfield was a son of Sybil Mary Kerr Wingfield, of 18, Hans Place, Sloane Street, London and the late Henry Jocelen Wingfield. He was born in Moreton-in-Marsh, Gloucestershire.